Looking for an app for drawing? Want to express yourself through an Android app? Well you should try Easy Draw. It is an excellent app that will help you create beautiful paintings. Besides that, the app is kid friendly and could also be an interesting toy for you kids. Let’s talk about some of the features. Easy Draw enables you to try many different brush sizes and sharpness. There are various brush colors. If you want to draw over an existing picture, all you need to do is tap the load button and select your picture. You can also go fullscreen by tapping the pencil icon on the top left. When you're done with the drawing, you can save the picture or share it to your friends. It is a neatly designed app that is easy to use and functions great. On top of that it is free. Get it for free, Install and start drawing! Press Release – Clinch – A new Online Browsing Experience has begun! Clinch offers all of the tools needed to complete that journey, making more assured purchase decisions. Think of Clinch as your Personal Online Shopping Assistant. Beautifully optimized for the iPad, but keep an eye out for the iPhone and Android versions next year. What makes Clinch unique is that it is definitely not a store. It is a self-curated platform. Browse and Clinch from any website you like and keep everything in your library. You can then interact with them further. “I am an avid follower of fashion and interiors, living remotely with two young children and a home to renovate, I would research and buy almost everything online. Although online shopping has evolved and become part of our everyday lives, I found myself adopting some pretty creative behaviours trying to get around the current system that just didn’t work. Clinch came from my will to create an empowered browsing experience that meets the needs and behaviours of Online Shoppers, enabling assured purchase decisions”. Clinch also adds value and revenue to any Merchant; by addressing consumers’ behaviours and creating a better browsing experience, we help to optimise conversion rates. We currently have in excess of 2000 affiliated brands worldwide and growing. We have big plans! Clinch is on the investment trail and hoping to secure funding by the end of the year. With that comes Clinch V2, iPhone/iPad hybrid and Android. “I see Clinch being docked on every mobile device and being Online Shoppers ‘go-to’ browsing assist”. - #3 Anthill Smart 100. - Top 100 qualifier for E27 Echelon Summit for Asia Pacific. This game enables you to prove yourself as one of the best deer hunter by completing all the missions. Just get this addictive game downloaded on your own risk and enjoy. You can free download Deer Hunting Game from Google play store here. When we find a software that is good and beneficial for the end user we always praise it on our website. That is the case with the lovely Mac OS X app called Super Screenshot. While browsing through the App Store, we accidentally found this tool which looked extremely useful to us. With one click this app will enable you to take screenshot of anything on your Mac. Although this sounds “already seen”, the things that make Super Screenshot different from all the similar apps are the additional customization features this app has to offer. From adding text and arrows, to circles and lines, you will be able to customize all of your screenshots before sharing. Additionally, you can crop, resize or move the screenshots around. You can share any of your saved screenshots anywhere you want and from within the app you can share the screenshots to Trello, Mail app or Dropbox. In that way you will get a download link instantly. Overall, Super Screenshot is very easy to use, light and highly functional. The app is extremely intuitive and even users that are not good with PCs will get the app fast and start using it for their own needs. We have used it several times for the purpose of this review and we must say that we are impressed by how smooth and useful this app truly is. It can be perfect for both personal and business use. Get it on the App Store and create, edit and share screenshots like never before. LEO Privacy Guard is a user friendly app for all those who want to protect their personal videos and photos. This app will enable you to keep your secrets from the prying and annoying eyes of people around you. You will set your own pass-code, finger prints or patterns in order to secure your apps in an easy and powerful manner. Have a look at, what and how this app can do for you. You know your privacy level and hence only you can decide that to what extent you need to protect it. The app will be your facilitator indeed. You can do it by getting a PIN, Touch ID or a Dot Lock. Transfer selected or all the pictures with single swipe of finger to the restricted destination in your phone. You can have quick access to the private camera. You can scan the histories and only you will be capable of reading and accessing them. This app will enable you to monitor your battery condition as well as data usage in real manner. This app is equally accessible by the iOS as well as Android users. Wild Afrikaans Safari Slot 4DX is an Android casino slot game that is one of the best new games in that category. It caught our attention with the lovely graphics and the fact that they promise a lot of awards. Well, it is certainly a worthy download. It is one of the best deluxe casino games you will find out there. It has style, lovely graphics and drawings, extraordinary visual and audio effects and it is perfectly optimized for smartphones and tablets. The app offers all the standard casino slot game features. You can autospin, bet on different lines, make additional bets with cards after you win etc. In this game there are 5 reels and 10The interesting thing is that the developers have created 4 different worlds that you can enjoy in. All worlds are in the sign of the beautiful golden lion. We’ve personally played Wild Afrikaans Safari Slot 4DX and we must admit that it is the complete Android game. It is broad, dynamic and unique and it still keeps the spirit of the classic casino games. It has great levels, multiple and frequent bonuses and great soundtrack and visual effects. Get it for free on Google Play. 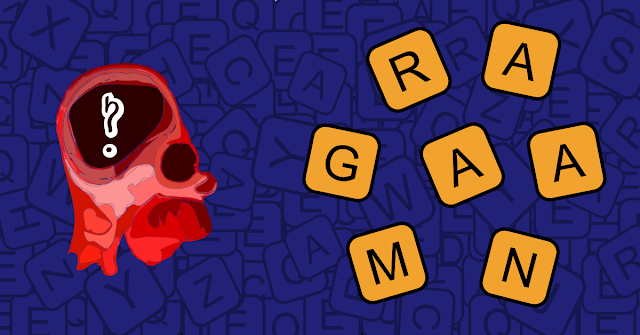 This cool little free app will send an anagram puzzle to your phone every day. Doing a daily word workout will expand your vocabulary, increase your cognitive capacity and keep you from being bored when you stand in line. Want a free US number which you can use for making calls and sending SMS to US even though you are not located in the US? Do you have relatives and family that are leavening US and you want to stay in touch with them regularly? Then you should definitely try iPlum, the best app for making free US calls and SMS. Because we also have family in the US we have used and tested this app for few weeks and we must say that we are impressed. 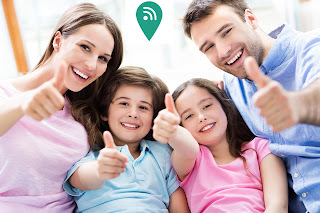 GPS Trackers can always be useful if you have children and you want to know where your family is located. One of the best new GPS tracker solutions is certainly Grid Locate and Android app that can be a great solution for any family. It is a full featured, critically acclaimed GPS tracker and let’s see its features and how it can help you. Stock Market Game is an excellent new iOS game that can be really helpful if you want to learn how to trade.. or even if you don't, this is a really cool app in which you can earn a lot of money and become a millionaire. The game is both educational and helpful. With its great features it is made in a way that anyone could find extremely entertaining and useful. It is the ultimate game for the ones that loves money, trading, investments and wants to learn how to trade with stocks. Stock Market Game will show you the foundations on how to invest and become a millionaire i.e the basics of stock trading. In order to teach you in the best possible manner, the game will give you fictional cash. You need to use the money and buy stocks and sell them as high as possible. The cool thing about this stock market game is that you are limited in time, so you must use the money wisely. You are playing for a high score and each high score and earnings can be shared on Twitter. At the end of the day Stock Market Game is fun and enjoyable finance game. It has basic, simple UI that is very intuitive and relaxing. Stock Market Game is free and it can really help you understand how trading works. Get it on the App Store and remember, try to buy low and sell high! App Review - Value Tag – App that will make your shopping easier, quicker and cheaper! 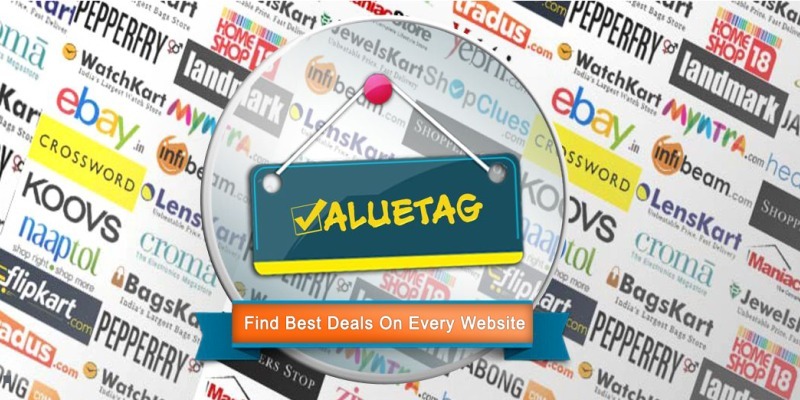 ValueTag is an app that will enable you to find coupons and discounts for the product you want to buy online. But, ValueTag is not just for saving money. It comes in with all the features of shopping you can imagine, it gives you the best price of a product on a touch and you don’t have to see various websites for the best price, it links all the well-known shopping masters in a single loop of shopping cart. The best thing is that it works with the most popular shopping sites like: eBay, Amazon, Croma, Flipkart, Snapdeal and many more. The app comes with coupons, offers and the best price added for each product belonging to any of these online shopping platforms that we all love. ValueTag is also a barcode scanner! If you are in a shop and you want to buy a shirt, you can scan the code and see where you can find the best possible price for that particular shirt. Isn’t that great? The app is intuitive and highly functional. So far it has earned critical acclaim and appraisal from its users across the world. ValueTag has Android and Chrome version. The both apps are free and you can get them in the links bellow. Having ValueTag on your Android device or computer is a smart thing to do, because you can save large amount of money. When we find cool, simple and relaxing games we always present them to our readers. The new iOS game – Puppy Pole Climber largely impressed us with the simplicity and the lovely game play. It is one of those games that you can enjoy for hours and never feel bored , but on the opposite, you will feel relaxed and entertained! Big Fluffy Cloud is an iOS business app that we recently found extremely useful. We decided to a review it because indeed it is a great alternative to the popular cloud storage apps. 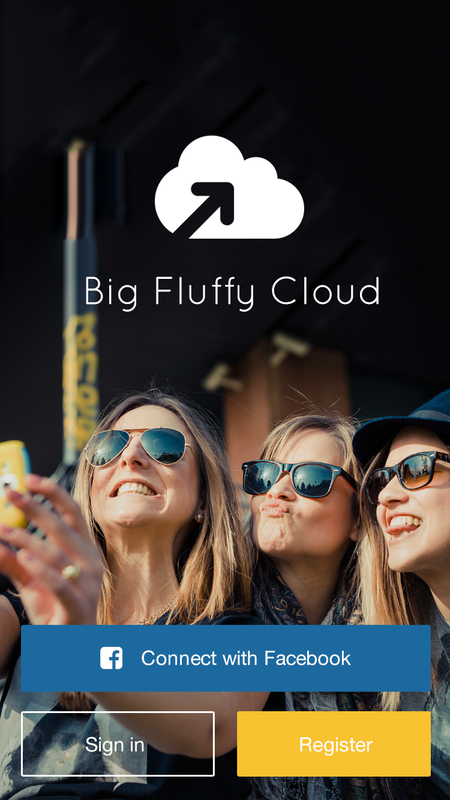 Big Fluffy Cloud is a simple app that will help you manage and share your files securely in the cloud. It can be great for both private and business use. With it, you can instantly access your content anytime anywhere by phone tablet or laptop. Every document or photo can be shared with friends, family or colleagues from your iPhone. The app can back up files, photos, videos and more! With Big Fluffy Cloud on your iPhone, you will get extra free space and you can continue taking photos, videos or downloading music without deleting any files. This is a really quality and reliable cloud storage app. If you look for something more long term, then you should check out the glacier storage -archive files for the long term for a fraction of the price! Big Fluffy Cloud is the perfect app if you want to back up files and free up space on your iPhone. Each user of the app gets 5GB free storage plan! Get it for free on the App Store. NY Quiz is an Android Trivia game that everyone that loves New York or lives in this amazing city should try at least once. It may test your knowledge about the “Big Apple” and help you realize if you really know the city. The cool thing about this trivia app is that is not focused on geographical and historical facts, but instead, it is based on entertainment and sport. The developers made sure there are many questions and categories that will make the game interestingly challenging. NY Quiz has 12 different categories and more than 240 questions. Some of the categories include: Famous People from New York, Actors from New York, Athletes from New York, TV Stars from New York, New York Baseball, Basketball etc. Be sure to always give correct answers, because with each correct answer you will get 10 coins. In order to open a new category you must earn 150 coins, so that means you have to guess 15 questions in order to move to the second category. The game will let you choose which category you’ll chose next after you get 150 coins. This is a simple, entertaining and challenging trivia app that has great content and nice organization of categories and questions which makes the game interesting. Get it for free on Google Play! Do you ever have problems in creating an event in which everyone of your friends will say yes? Too many messages, too many emails and calls? With Planr App you will avoid all that. Planr enables you to easily create an event and ask for place and time. Users can then vote or chat inside Planr. The app is incredibly fast, beautifully designed and easy to use. People with no prior knowledge of the app or tech-savvy people will use the app very easily. Reviewed by DJ Mag, The Guardian, Android Police and many other world-popular websites, Cross DJ Free is one of the best DJ apps you can find on Google Play. When music lovers, passionate DJs and amazing developers meet together, the results is an amazing DJ app that can now has around 5 million downloads. Let’s see why this is one of the best rated DJ apps on Google Play. First of all it is extremely easy to use and is intuitive. You will start mixing and creating effects in no time. In the effects is where Cross DJ Free made its name and earned critical acclaim. Not only that you will get accurate BPM detection of your music, but you will also be able to sync the tracks, manually customize pitch range, edit the grids, add fast-forwards, fades, jump effects, control EQs and many more. The app is extremely responsive to any of your actions and can produce amazing audio quality. There are 12 sample banks you can play around and you can even record your own sample. Cross DJ Free is fast, stable, quality and you will be making the best possible choice if you choose this app as your DJ app. Get it for free on Google Play. Derby, 17 October, 2015. Do you love the classic solitaire card game that was basically one of the most play games on Windows? Well you will surely adore Tasty Solitaire Classic, an Android game produced by Social Play, which is one of the most creative fusions of a card and puzzle game with amazingly beautiful graphics and well thought levels and story. The game includes sweet and tasty stuff and requires from you to develop sweet kitchen skills. Every time you pass and solve the solitaire puzzles you will enhance your cooking skills. The interesting thing about the game is that there are different countries around the globe where you can play the game. Try to take over the best world’s cuisines with this lovely puzzle card game. The graphics are lovely, very detailed, beautiful and well thought. The sound effects are also amazing, they will make this great card game much more enjoyable and interesting. There are various boosters and powerups that will also help you to achieve your goals much faster. Tasty Solitaire Classic is the game you want to keep on your Android smartphone or tablet! This fun, colorful, entertainingly beautiful card game is available for free on Google Play. 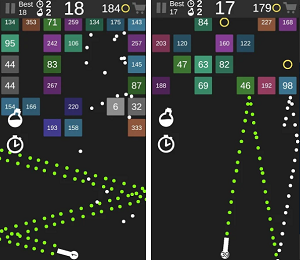 Created by AppZaky, Plate Wreck is an Android game that will surely addict you and entertain you at the same time. Based on the simple tap-n-play gameplay, Plate Wreck requires to tap the plates in order to break them. However, you must be careful and don’t rush, because there are 3 different plates in the game: White, Red and Smiley. This is where the things become interesting in Plate Wreck. As the plates start to float from bellow, you have to watch out to not hit the red plates and try to hit as many smileys because they will give you more points than usual. The goal of the game is to wreck as many white and smiley plates as possible. If you fail to wreck a white plate before it disappears, you will lose a life. It is as simple as that, but it can get really complicated as you progress. However, the game is not frustrating, on the contrary it is really compelling and fun. The graphics and the sounds are lovely and that makes the game more enjoyable. It is one of those game that will entertain you and relax you at the same time. Get it for free on Google Play. Catch Tracker App – Get Local Fishing Reports, Lake's Location, List of Possible Species That are Spawning Estimated Water Temperature, Current Weather Conditions and Moon Phase. Overland Park, KS - October 17, 2015 – Created by Fishing Notes Catch Tracker App is the new fishing app for Anglers that is one of the best new tools that passionate anglers and the fishing community can have on their iOS devices while they are on the road. Several passionate anglers were included in the creation of Catch Tracker all with one goal – to make the most utilized, useful and functional location based iOS app for anglers. “We’ve worked really hard to produce a simple, yet handy tool for anglers, because we ourselves are passionate anglers as well. We tried to include as many data as possible, make it intuitive, private, simple and precise. We hope the fishing community will find it useful”, stated Wes Stueve from Fishing Notes. The app features simple and easy access to any lake’s location, list of possible species that are spawning, water temperature, current weather conditions and moon phase. There are more than 35,000 lakes, reservoirs and local ponds included in the app. That makes it a highly reliable source of relevant information. Important – There is possibility to keep logs of your fishing activities and the data is private, unlike the other fishing apps. That means that you can create private logs and save the image of your catch, info about the type of species, type of bait used, water clarity, sky clarity etc. The app has clean user interface that is very intuitive and joyful to use. Catch Tracker is free and having it on your iPhone or iPad can only make you a better angler. There will be new features soon, the app will only be advanced and improved to have great value to the end users. We all know the Donkey Ollie, it is a popular children’s character that kids adore. Recently we found a great educational app that is intended for the kids and it is dedicated to the Lord’s Prayer. Actually the Tales of Donkey Ollie includes over 40 children’s stories. All these stories cover 4 categories of stories. Everything is organized neatly and the whole user interface is intuitive, but most importantly the app is beautiful and easy to use, and kids love that! However, this app is basically for all ages because it will also help you as an adult to remember or learn all the great things about the Lord. The app was written and illustrated by really talented people because the Donkey Ollie just looks and feels great. The first collection are the ten parts of the Lord’s Prayer. When you open certain category, there will be exact list of the names of the stories included. The writing is perfect! While browsing on the App Store, we recently found a great app that slightly amazed us. It is simple, yet an app that have great impact on our lives. We are talking about the iOS Lifestyle app called Good Day(s). It is an app with a simple goal and feature. Its goal is to help you achieve your goals in interesting way and ton not quit! It is a goal app with simple UI, beautiful design and effective features. You can easily set goals with Good Day(s) and you can easily repeat them at any time you want. On top of that, Good Day(s) is social, because it has leaderboards of goals and you can use that goal for your own if you like. Good Day(s) is joyful, positive and effective way to accomplish your goals and feel great about yourself. It can largely improve your life and be that handy app that you will always want to use to make yourself better. Naarakstudio is one of the most creative, quality and neat developing studio for Mac apps. One of their latest additions is the amazing neat and handy app called iCollections. It is an app that will enable you to easily create areas on your Mac desktop and put icons from your most used apps or files in them. You will remain organized, productive and will have everything available in one lovely and compelling manner. Your iCollections will look compelling because they are actually shaded windows that look really cool and can be customized. The great thing about these collections is that you can customize them as you want i.e you can label, highlight, re-size and move them around. You will also have the same functions for accessing. You can simply open and open with, rename, remove, view, copy etc. Basically, not only that iCollections will offer you great functionality, you will be able to change its looks as well to fit your wallpaper or theme much better. This applications is smooth, slick, fast and beautiful, it’s just goes perfectly well with the Apple brand and products. On top of that, the app is light and it wouldn’t cause any problems to your Mac’s desktop. Definitely it is a beautiful productivity tool that will keep things on your desktop organized in a compelling manner. Get it here. Game Reivew - Eat Me - A Game that Makes you Eat your Friends! Want to take a virtual exotic journey in ocean and have fun eating fishes? If yes, Eat Me is a perfect game for you. The game launched by US based Junglee Games makes you to get into the skin of a fish you like and play with your friends. The fun factor of the game is, you can even eat your friends (fishes) to grow bigger and stronger. But, always look out for bigger fishes who are just thinking about making you their meal! The Eat Me game from Junglee Games is Free for both iOS and Android devices. Once you are in the game, you can pick your fish out of the 11 options you got, varying from clown fish to flounder to even bigger fishes like Humpback Whale or Shark. Name your fish and get into the game and start eating sea weeds until you grow bigger to eat other fishes. The more you eat, the bigger will be your chances of survival given you don't get stunned by a stun bomb or pooped by a small fish. The stun bomb is a feature in Eat Me game that allow smaller fishes to hide behind them but stuns any big fish that lurks close to it. Similarly, if you are a big fish and on a chase of a small one, the small fish can poop eggs on you as a defensive mechanism which makes you to reduce your size but will also affect his score. There can be a maximum of 100 fishes in the sea and the more you eat, the higher will be your score. Eat Me game has leaderboard which makes you to challenge yourself and eat more seaweeds and fishes to be on the top. Also, you can unlock new achievements in Google Play Games and Game Center. If you haven't checked it out yet, go to PlayStore or App Store right away and download the game for Free. Have fun with your friends and let us know how it feels to be a Big Fish! Every sports fan knows that Bein Sport TV channels are one of the best in the world. They broadcast the biggest sport events and offer HD live coverage. Bein Sport Arabic Channels are one of the most quality TV channels in the world, but they are only available to North Africa and Middle East. Their quality is backed by the fact that not only they have coverage of all the best football leagues, but they will also cover the EURO 2016, which is probably the biggest sport event in 2016. That is why we will speak about Easybox, one of the best IPTV box sets and voted the best IPTV box 2015 from Testkingz. This amazing IPTV box will offer you stable and quality broadcasting of the Bein Sport channels. No lags, full speed and amazing picture quality are practically guaranteed. Not only that, you will get more than 1000 channels for Arabic, Turkish, English, Spanish, French, Russian, Greece, Portuguese channels. If you want to save yourself from the big satellite dishes, the Easybox is the perfect solution. All you need is the box and to be connected with a 2 MB/s internet line and to a TV set. It is as simple as that. The feature that makes Easybox different from the similar services is the Super strong WiFi technology, you can even use it in 50m range. Easy box also supports YouTube, Android, Xbmc/kodi and HDMI. Easybox has quickly earned critical acclaim and recognition from many users around the world. Visit their website to get informed and order this amazing IPTV Box. It offers great selection of channels, quality, stability, speed and simplicity. It is easy to set up and start using and it only requires average internet connection. Easybox will be the next huge hit in the IPTV market. Tampe is an Android communication app that has quickly gained critical acclaim and popularity among Android users. In short, Tapme makes communication real. Tapme helps you find groups meeting in real life who share your interests. The app has several functionalities that is making it one of the best social, communication apps on Google Play.